In 2004 work started on revising HTML (Hypertext Markup Language) 4. The result, called HTML 5 is currently in editor’s draft form. It won’t come a recommended standard until 2022. That is not a typo! 3 years from now. Despite this glacial planned progress, some browsers should start providing support for at least parts of HTML 5 soon. Safari claims to support HTML 5, but it does not support the new entities yet. Dropping the old <font tag which is now handled by CSS (Cascading Style Sheets). Easier integration of add-ins like Flash, Java, PDF (Portable Document Format) etc. drops <applet. You must use the <object tag. This is not nearly as bad as it sounds. HTML5 (Hypertext Markup Language v 5) uses just the URL (Uniform Resource Locator) of the document and a MIME (Multipurpose Internet Mail Extensions) type, none of that classid crap. The browser has to figure out what plug-in to use to play the document. New tags <figure> and <figcaption> to unambiguously associate a caption with an image no matter where it is placed relative to the image. mark tag to electronically run a yellow highlighter pen over some text (or variant). Looser syntax. This is not an XHTML (extensible Hypertext Markup Language) or XML (extensible Markup Language). New forms features that advance the art of data entry to approximately 10% what it was the DOS (Disk Operating System) days. New tools: field types for validating email addresses and website, autofocus to put cursor on a given field when the page is loaded, placeholder to put some faint sample text in field to show you the sort of thing it is expecting you to enter and required to mark a field as mandatory to enter. You can do validation with regex expressions, though I would hate to see the error messages. You can select a data value with a slider. Simple markup to play audio or video. The browser figures out what to use to play it. To support this browsers/plugins and servers are going to have to exchange more information, since hints on how to play no longer come from the markup. You can make content user-editable e.g. fill in a todo list, without resorting to a dummy form. You are not supposed to use tables to do layout, only use them for tabular data. They still exist, but stripped of nearly all their options. Many new Official HTML 5 entities. e.g. &zigrarr; ( &zigrarr; ) or &#x21DD; ( ⇝ ) most of which will likely not be supported in your browser, except as hex entities. 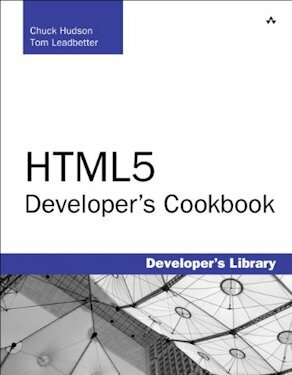 Though this sounds hard to believe, HTML5 is also a programming language. IBM (International Business Machines) even wrote a multi-platform HTML editor in it called Maquetta which they have since abandoned. I think it is intended to fill the same niche as Adobe Flash. All the major browsers now support all the new HTML5 entities: Chrome, Firefox, Opera, Safari, Sea Monkey, Avant. This is no surprise. All they had to do was add a table of the new entities and their Unicode equivalents. Please take the following table with a grain of salt. I have not completed proofreading it yet, nor providing notes on all the entities. If you see any errors or anomalies, please let me know. If you want to volunteer some time, provide some descriptions and notes, perhaps gleaned by looking up the characters in the Unicode tables and email them so I can include them in the entityfacts.csv file used to generate this table. 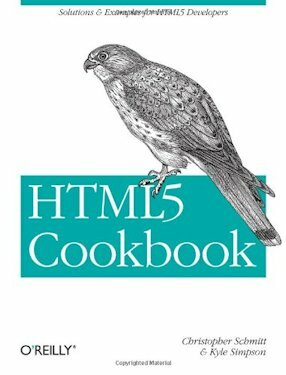 Since no browser yet implements HTML 5, this is not yet a pressing concern. The first column will render as a character only in an advanced HTML 5 compliant browser. Firefox, SeaMonkey and Opera will handle almost all of them. Safari and Chrome will handle many of them. The other browsers will not render any of them. Until such browsers are available, you will have to use the hex entity form. Entities are called named character references in HTML5. If a glyph fails to render properly both as a HTML5 entity and as a hex entity in the following tables, it is not your browser’s fault. The problem is the font being used to render that glyph does not support that character. &Superset; &Superset; ⊃ &#x2283; &#8835; '\u2283' superset of set theory, does not mean superscript. &apos; &apos; ' &#x27; &#39; '\u0027' apostrophe normally just code as the ' character. &excl; &excl; ! &#x21; &#33; '\u0021' ! ordinary exclamation mark normally code with plain ! &gvertneqq; &gvertneqq; ≩︀ &#x2269;&#xfe00; &#8809;&#65024; '\u2269''\ufe00' greater-than over not equal Is that double q on the ent a W3C typo? &lbbrk; &lbbrk; ❲ &#x2772; &#10098; '\u2772' ordinary left parenthesis ( normally just code as (. Misnamed. This as a parenthesis, not a bracket. &nGt; &nGt; ≫⃒ &#x226b;&#x20d2; &#8811;&#8402; '\u226b''\u20d2' two greater-thans with a vertical bar. &nLt; &nLt; ≪⃒ &#x226a;&#x20d2; &#8810;&#8402; '\u226a''\u20d2' two less-than signs with a vertical bar. &ohm; &ohm; Ω &#x3a9; &#937; '\u03a9' capital Omega was 0x02126. Ohms, resistance. &quest; &quest; ? &#x3f; &#63; '\u003f' ordinary question mark normally just code as ? &rbbrk; &rbbrk; ❳ &#x2773; &#10099; '\u2773' ordinary right parenthesis ) normally just code as ). Misnamed. This as a parenthesis, not a bracket. &varepsilon; &varepsilon; ϵ &#x3f5; &#1013; '\u03f5' Greek small letter epsilon was 0x003b5, normally use html4 &epsilon; &varepsilon; is particular for variable names. &vnsub; &vnsub; ⊂⃒ &#x2282;&#x20d2; &#8834;&#8402; '\u2282''\u20d2' not subset of set theory, does not mean subscript. &vnsup; &vnsup; ⊃⃒ &#x2283;&#x20d2; &#8835;&#8402; '\u2283''\u20d2' not superset of set theory, does not mean superscript. @ @ @ &#x40; &#64; '\u0040' at sign no entity needed. &at; is not officially recognised. These are not part of the official standard. They may be supported in some browsers and part of the HTML5 standard some day. None of the usual browsers, Chrome, Firefox, Opera, Safari or IE support these proposed alphabetic entities, just the hex ones. There are even more of them than I have shown here. There are seven additional colours (plus aqua which is a duplicate of cyan) beyond the original Netscape 133 in HTML5 for a total of 140. All 8 New HTML5 colours sorted alphabetically. See the full set of HTML5 colours. Get rid of all non-CSS selection of fonts, colours, borders and alignment and do it with CSS instead. <em> and <strong> are ok. No <big>. Flip from name= to id= which also requires unique names on each page. Includes will need a mechanism to provide uniqueness. This makes no sense to me. It implies you cannot use the same form more than once per page. Convert all align and width parameters on <colgroup, <col, <td and <img to style. Get rid of all frames. This is a toughie. You need to replace them with iframes or pages composed of units server side. When you are done, they will not behave like frames. You have to completely rethink your logic. Convert <applet to embed or object. Gag! Apparently old code is officially in error, but will still work. Convert your table widths and heights to use styles or classes. Convert your iframe parameters to be done with styles. Some conversions you have to do at the last minute. Add attribute types to input field data. Remove maxlength and maxsize attributes. One technique is just to put the <!DOCTYPE html> at the top of your document, then try validating it with HTMLValidator. Fix the problems until your document passes HTML5 muster. Then validate with W3C (World Wide Web Consortium). So of the changes in the various levels of HTML are not particularly improvements. They are just make work projects. So much HTML is idiotically verbose e.g. The W3 people make all kinds of minor changes to HTML that do nothing to change functionality. All they do is make work, hundreds of thousands of man hours to modify the markup to make it conform to the new standards. They should either stop making cosmetic changes, or provide a utility to upgrade existing markup to the new stardard. HTML5 is not just a markup language. It is a way of doing graphics and animations. 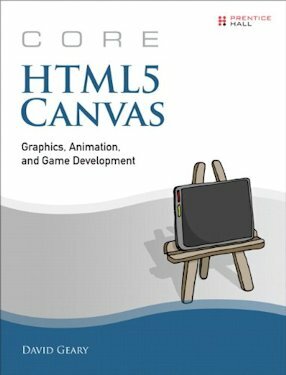 Also co-authored a book you can read online free about HTML5.